Vanessa Stephen was the elder daughter of Sir Leslie Stephen and Julia Prinsep Duckworth. The family, including her sister Virginia, brothers Thoby (1880–1906) and Adrian (1883–1948), and half-brothers George and Gerald Duckworth, lived at 22 Hyde Park Gate, Westminster, London. She was educated at home in languages, mathematics and history, and took drawing lessons from Ebenezer Cook before she attended Sir Arthur Cope's art school in 1896. She then studied painting at the Royal Academy in 1901. Later in life, she alleged that during her childhood she had been sexually molested by her half-brothers, George and Gerald Duckworth. 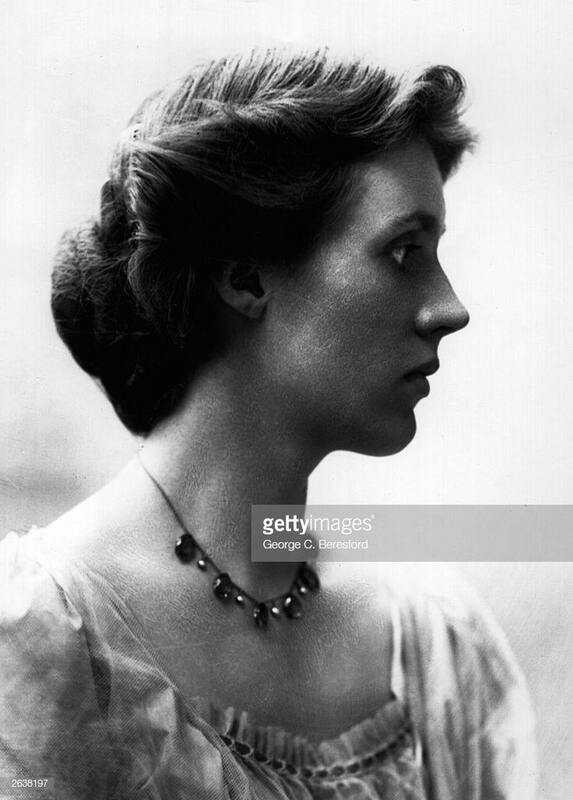 After the deaths of her mother in 1895 and her father in 1904, Vanessa sold 22 Hyde Park Gate and moved to Bloomsbury with Virginia and brothers Thoby and Adrian, where they met and began socialising with the artists, writers and intellectuals who would come to form the Bloomsbury Group. The Bloomsbury Group's first Thursday evening meetings began at Bell's house in Gordon Square. Attendees included: Lytton Strachey, Desmond MacCarthy, and later on, Maynard Keynes, Leonard Woolf, Roger Fry, and Duncan Grant. She married Clive Bell in 1907 and they had two sons, Julian (who died in 1937 during the Spanish Civil War at the age of 29) and Quentin. The couple had an open marriage, both taking lovers throughout their lives. Bell had affairs with art critic Roger Fry and with the painter Duncan Grant, with whom she had a daughter, Angelica in 1918, whom Clive Bell raised as his own child. Vanessa, Clive, Duncan Grant and Duncan's lover David Garnett moved to the Sussex countryside shortly before the outbreak of the First World War, and settled at Charleston Farmhouse near Firle, East Sussex, where she and Grant painted and worked on commissions for the Omega Workshops established by Roger Fry. Her first solo exhibition was at the Omega Workshops in 1916. On April 7, 1961, Bell died from a brief illness at Charleston, Firle and was buried in the Firle Parish Churchyard near Duncan Grant. In 1906, when Bell started to think of herself as an artist, she formed the Friday Club to create a place in London that was more favourable to painting. Vanessa was encouraged by the Post-Impressionist exhibitions organised by Roger Fry, and she copied their bright colours and bold forms in her artworks. In 1914, she turned to Abstraction. Bell rejected the examples of Victorian narrative painting and rejected a discourse on the ideal and aberrant qualities of femininity. Some of Vanessa Bell’s works were related to her personal life. She used her artistry to design and illustrate book jackets. For example, her illustration for To the Lighthouse, the book by her sister Virginia Woolf, which was not published until 1927, is about a beach with lighthouse that was a part of Bell’s and Woolf's childhood in St Ives, Cornwall. Bell is one of the most celebrated painters of the Bloomsbury group. She exhibited in London and Paris during her lifetime, and has been praised for innovative works during her early maturity and for her contributions to design. Bell's paintings include Studland Beach (1912), The Tub (1918), Interior with Two Women (1932), and portraits of her sister Virginia Woolf (three in 1912), Aldous Huxley (1929–1930), and David Garnett (1916). Bell worked with Duncan Grant to create murals for Berwick Church in Sussex (1940-42). In 1932, Bell and Grant were commissioned to produce a dinner service for Kenneth Clark. With the active participation of his wife Jane Clark, and much to her husband's surprise, they produced the Famous Women Dinner Service: 50 plates painted with portraits. This work was believed lost until 2017, but had actually survived intact.